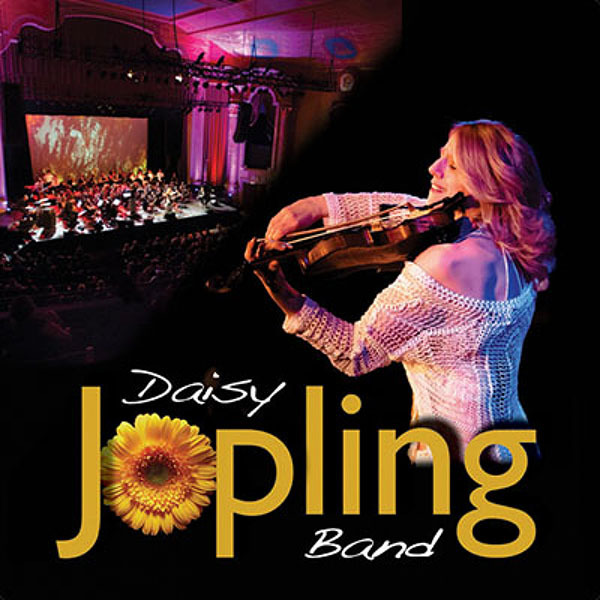 DAISY JOPLING BAND | Love Productions Inc.
A classical/rock violinist, Daisy has toured the world with her band. At the age of 14, she was already performing at the Royal Albert Hall in London. She recently played before 30,000 people at the opening of the Vienna Festival. Daisy has also performed and toured with some of the world’s leading musicians, including Joe Zawinul, Bobby McFerrin, Omara Portuondo, Julian Rachlin, Janine Jansen, Boris Grebenshikov, Shubha Mudgal and Wolfgang Muthspiel. She has performed in major Festivals and concert halls including Carnegie Hall and the Lincoln Center in New York, the Musikverein in Vienna, the Salzburger Festspiele, and the Edinburgh International Festival in Scotland. In addition, she performed at the United Nations Assembly Hall in New York alongside Akon, Gilberto Gil, Ky-Mani Marley, Salif Keita, The Blind Boys of Alabama, Phylicia Rashad, Whoopi Goldberg and Carl Lewis. Daisy is also a composer. Her music has been performed by various ensembles in major concert halls throughout the world. She has collaborated on scoring many films, including arranging and recording with Triology the music of Hans Zimmer for Hollywood films “Spanglish” and “The Road to El Dorado”.